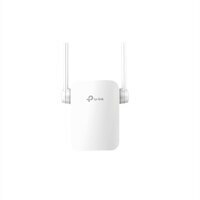 Tired of Wi-Fi dead zones in your home The RE205 Range Extender connects to your Wi-Fi router wirelessly, strengthening and expanding its signal into areas it can't reach on its own, while reducing signal interference to ensure reliable Wi-Fi coverage throughout your home or office. The RE205 lets you keep more devices connected at the same time with its 2.4GHz 300Mbps and 5GHz 433Mbps dual bands. Use the 2.4GHz band to send email and browse the web, and the 5GHz band for gaming and HD streaming.